BaxTek wants to be your RFID supplier of choice for RFID technology implementation. As your RFID vendor BaxTek Solutions has the experience to help you with multiple RFID applications and RFID services. These include RFID smart tags, RFID labels for asset tracking, RFID software & RFID printers with experienced technical support. 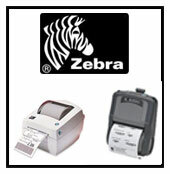 We offer many another keyword from leading RFID manufactures such as Symbol, Zebra, Intermec and Datamax. Deliver the robust functionality required for truly successful large and demanding RFID enterprise deployments with this industrial class, Gen 2, fixed RFID reader from Symbol. 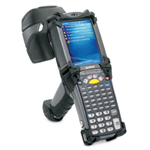 The flagship MC70 Enterprise Digital Assistant (EDA) is a rugged handheld mobile device that incorporates a mobile phone, PDA, computer, scanner and imager in a single unit designed for the rigors of all-day, everyday usage. Extend the reach of your RFID network and achieve a new level of visibility into inventory and assets with the RD5000 Mobile RFID Reader. Focusing on the manufacture of reliable, low-cost RFID tags, Alien Technology offers a wide range of EPC compliant UHF solutions for pallet, case and item level tagging. 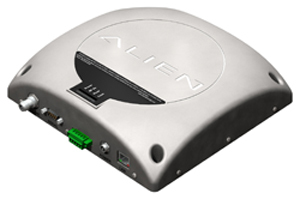 The Alien ALR-9900 Enterprise RFID reader enables users to deploy manageable, robust, best-in-class RFID solutions for demanding supply chain, manufacturing and asset management applications. The Alien ALR-9800 is designed for scalable, streamlined, easy-to-manage data collection with a low total cost-of-ownership across any number of installed units. 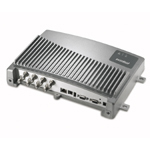 The ALR-9650 is the ideal solution for single and two-antenna applications. The reader electronics and a high-quality, circularly polarized antenna reside in a single package, resulting in the simplest and least expensive installation. The Alien series of portal appliances provides a complete, easy-to-install, dock-door solution in a durable, serviceable package. Housing the industry-leading ALR-9800 Gen 2 RFID reader and up to four high-gain antennas, the ALX-9010 ensures high read rates and effective RFID portal implementations. With the recent introduction of Primera�s new RX900 Color RFID Printer, applications that require both color and RFID are now possible.